Additionally, the “platform” www.NewParadigmMatrix.com features YouTube videos [ see www.YouTubeX1000.com ] relating to symposiums et al. focused on the works. 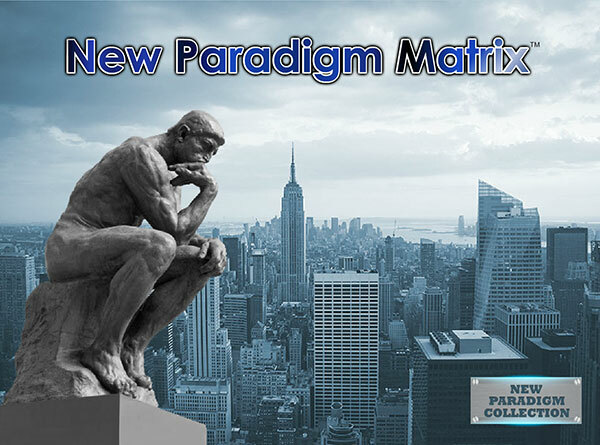 New Paradigm Matrix endeavors to publish works, which are vibrant and cutting-edge, if not paradigm changers. David Birnbaum, a graduate of Harvard University, is editor-in-chief of New Paradigm Matrix – as well as the author of several of the works. In addition he is co-editor of the works in the Masorah Matrix division series. Birnbaum’s iconic work God and Evil – which introduced his new paradigm Quest for Potential∞ hypothesis, was originally published by KTAV (Jersey City, NJ) in 1988. Four subsequent printings followed in the 1989-2000 period. KTAV still offers the work in its catalogue. New Paradigm Matrix offers the work as Volume I of 2-volume Summa Metaphysica. For David Birnbaum philosophy, metaphysics, see also www.SuperLaw1000.com.